Be one of the first people in the USA to preview this all new Hybrid! Priced at $19,800, the Honda Insight LX is the MOST affordable new hybrid available in the U.S! This day is exclusively for retail & wholesale buyers, CEOs, Press, purchasing managers & agents, government / city procurement officers & decision makers who make corporate purchases on behalf of their companies, organizations, agencies, schools & facilities. These weekend days are for both business buyers & everyday consumers seeking eco-friendly products & services for their companies, homes, schools & children. Sign up for the ConEdison Solutions WIND Power Program and get free admission for the weekend! Click HERE for details. GREEN SPACES Green Business Competition – The Green Business Competition is a groundbreaking platform to promote emerging green businesses in New York. The competition will reward investment funds to companies that have the ability to revolutionize their industry by working with our ecological resources while creating economic opportunities. 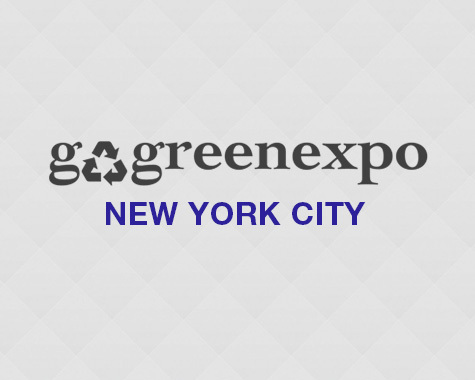 SEMI-FINALISTS SHALL BE ANNOUNCED AT GO GREEN EXPO ON FRIDAY, APRIL 17TH AT 2PM! RideAmigos.com, this year’s Go Green Expo Ride Sharing Sponsor, is a free online tool that offers ridesharing solutions to the public, corporations, hotels, and event planners, as well as luxury hybrid transportation services. To use, simply Click Here, enter your starting point, and they’ll match you up with an Amigo near you to share the ride! After the trip, RideAmigos will calculate the Expo’s total CO2 savings from shared rides, and let riders know the impact they have made. GREEN LEADERSHIP – WHAT INSPIRES YOU? Come check out the talented drummer of Saturday Night Live – Shawn Pelton and Matt Katz-Bohen on guitar who currently plays with Blondie. The keyboards are handled by the talented Chad Dinzes of Go Green Expo & Licorice and the lead singer is yours truly Bradford Rand CEO of Go Green Expo. Jonny Blaze Matias of The Cringe will be working it on Bass. As our way of saying thank you, we will be distributing free tickets to the Go Green Expo that night to all guests of the evening!